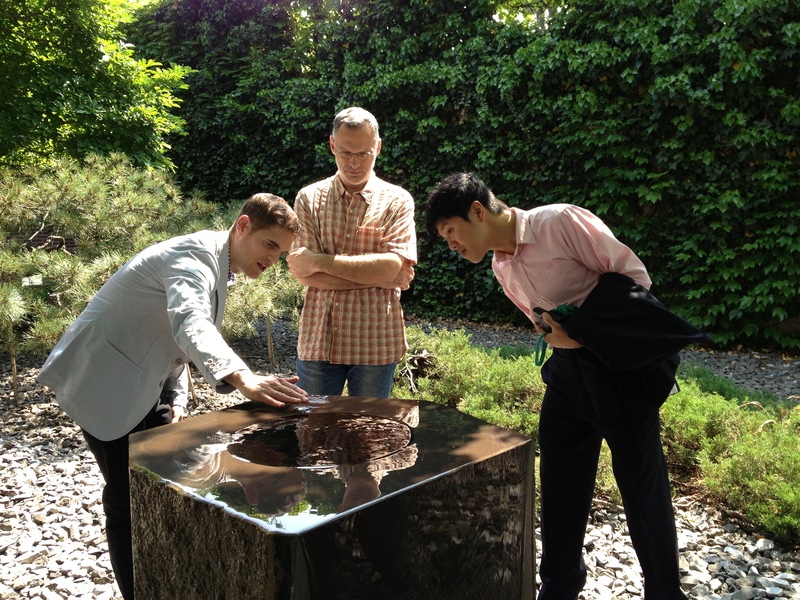 Noguchi Curator Dakin Hart shows off a sculpture at the Noguchi Museum’s outdoor sculpture garden. Photo: Alice Ming Wai Jim. 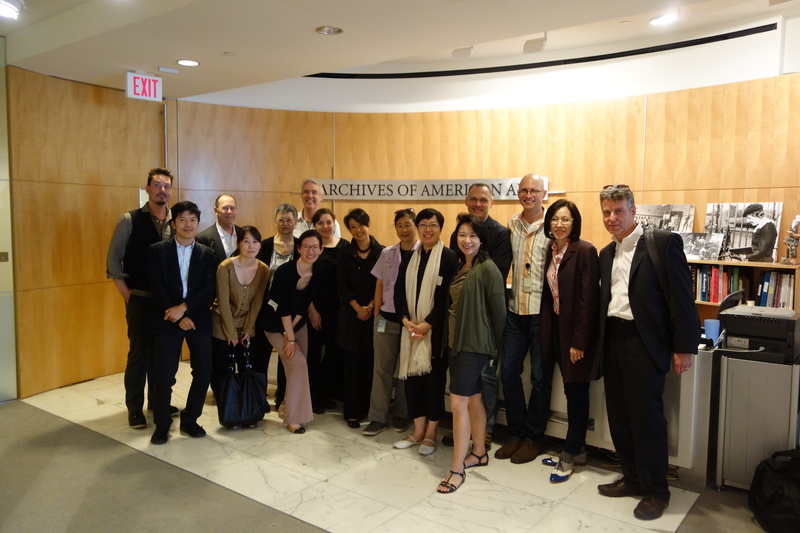 GAX scholars and Participants for Day 2 of the symposium “Asian American Art: Transnational Circulations & Diasporic Framings” hosted at the Archives of American Art in Washington DC. Photo: John Tain. The 2014 NYU Global Asia/Pacific Art Exchange and symposium will take place in the U.S. in Washington DC and New York City from May 30-June 4 with Global Exchange core scholars, who have participated in the working session series and first phase of the Global Exchange, and an expanded group of scholars, artists and curators in the US. The focus of the 2014 US phase of the exchange will concentrate on the shifting frameworks of Asian American Art comparatively with Asian diasporic and inter-Asian art globally, and think about narrative possibilities including transnational perspectives and possibilities on American Art in the frameworks of Global Asian Visual Cultures. A 2-day symposium titled “Asian American Art: Transnational Circulations and Diasporic Framings” will take place at the Smithsonian Institution’s Archives of American Art in Washington DC. Day 1 includes a global comparative panel, a panel on Ink Painting and diaspora, and a panel on what Digital Humanities may have in store for thinking through transnational narratives. Day 2 of the symposium will commence with a working session on the Virtual Asian American Art Museum Project [VAAAMP]. Project partners NYU, Getty Research Institute, Smithsonian Institution and collaborators including Bowdoin Museum of Art and San Francisco State University Galleries will present the Virtual Museum’s pilot and next steps as well as engage in open discussion on digital humanities and project issues and thematics. The 2-day Symposium will be followed by a 3-day program in New York City. Participants will travel together, continuing the dialogue, and begin with a working session held at A/P/A Institute at New York University followed by activities and programs with Japan Society, the Museum of Chinese in America, Noguchi Museum, and NYU Grey Art Gallery and NYU Fales Library and Special Collections.